My friend Donna and I went to Tehidy Country Park on a blue sky April day in search of a carpet of spring bluebells. 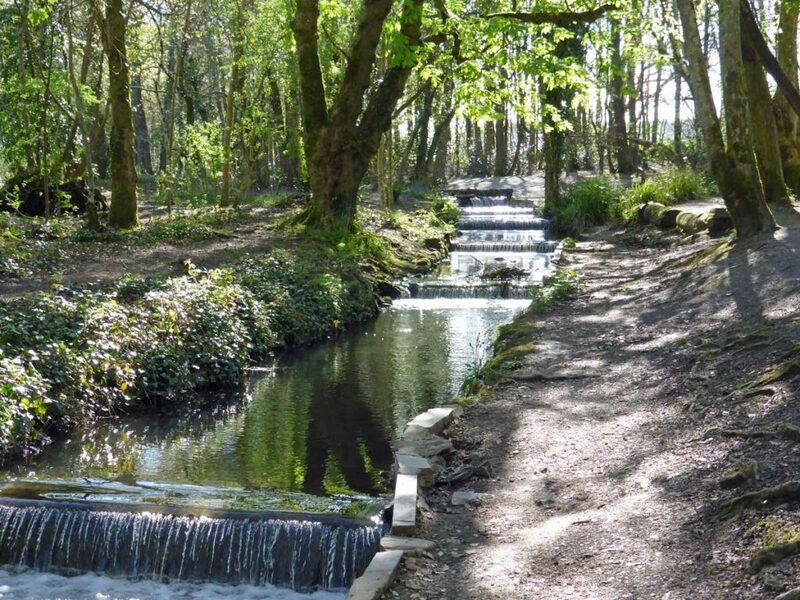 Tehidy Country Park is located a mile south from Portreath Harbour and is the largest wooded area in West Cornwall. 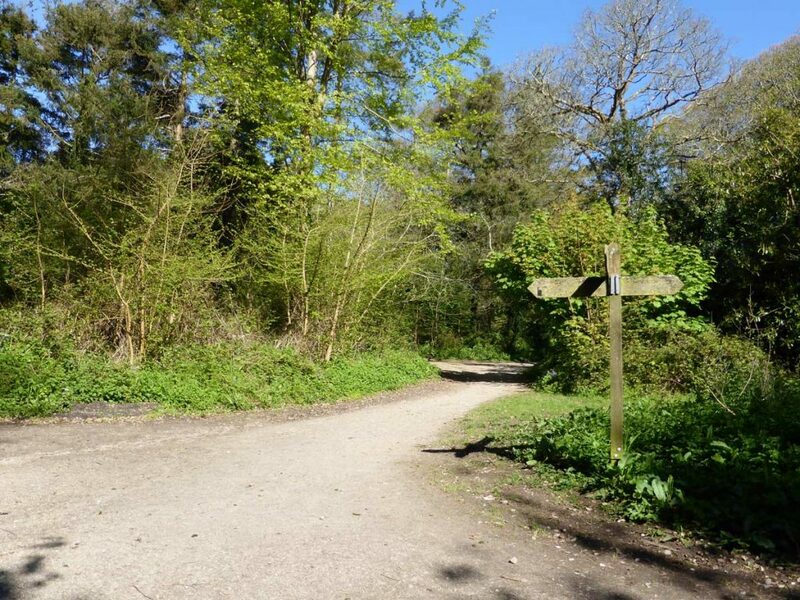 There are 9 miles of paths and 250 acres of woodland and lakes to explore. The Mineral Tramways Tehidy Trail also links to the rest of the Mineral Tramways network at Portreath. The estate has been owned by the Basset family, one of Cornwall’s four most powerful mining families, since Norman times. 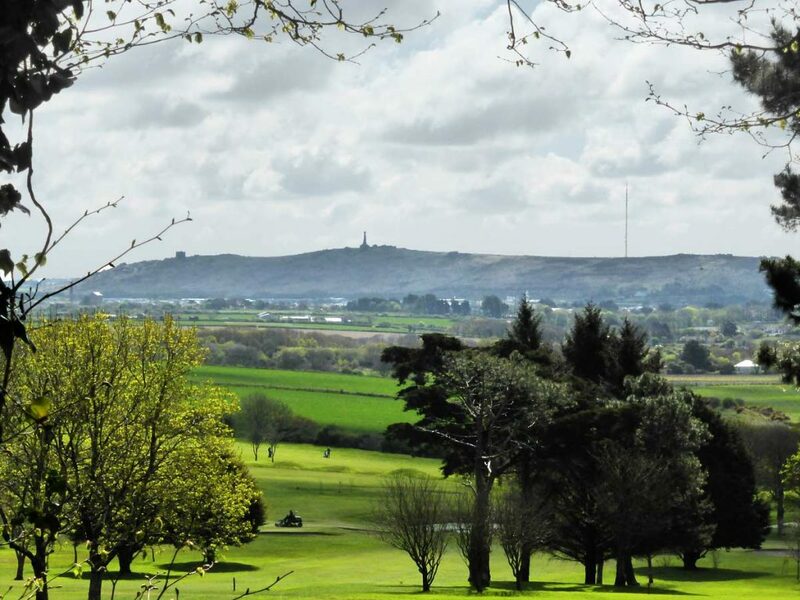 From the park, you can see a prominent hill named Carn Brea on which the Basset family memorial honoring Sir Francis Basset (1757-1835) stands. We chose to park in the South Drive car park as it was the car park closest to the cafe and visitors centre. However, there are two other car parks to choose from and all are free. 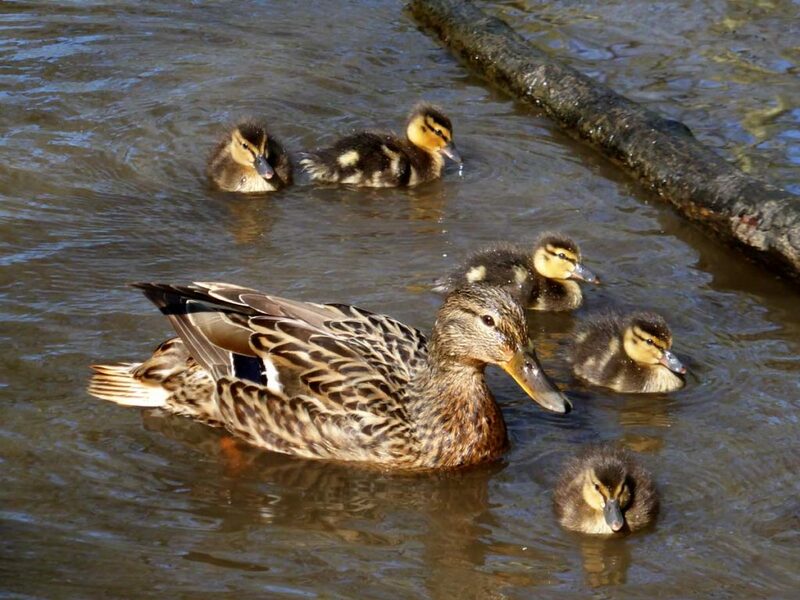 We initially set out on the ½ mile circular walk around the estate’s ornamental lakes. This area was teaming with swans, ducks (and their adorable ducklings) and some friendly squirrels. Next we headed for the North Cliffs Circular Walk (2.5 mile). Don’t be fooled by the name, although this walk is on the north coast, you will not see the coast. However, looking at the map, you can divert from the trail and take a 10 minute walk to North Cliffs Beach, aka Deadman’s Cove, and the South West Coast Path. We came across a clearing which was once the site of the Tehidy Temple. 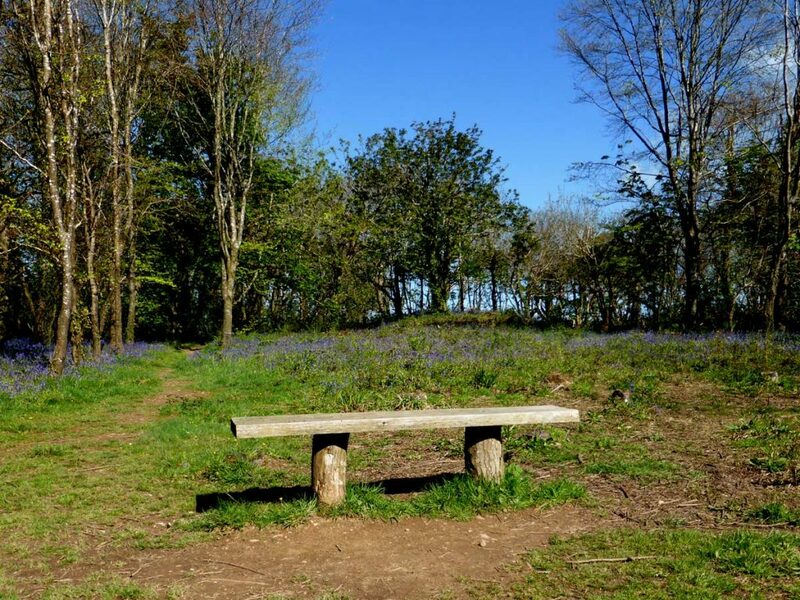 Although the temple is long gone, it was the perfect spot to sit and admire the bluebells. The walk had the best bluebells of the day and beautiful birdsong filled the air. 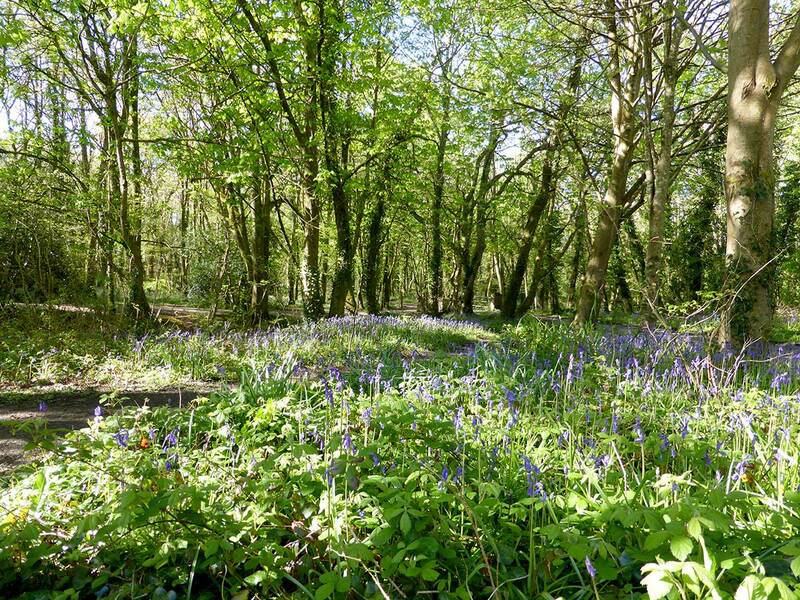 In addition to the main route, there are many criss-crossing paths through the bluebells. There’s also a big old 18th century beech tree with a thick twisted trunk, which will turn anyone into a tree hugger! To get there we followed the stream that flowed out of the lake and down a series of small man made waterfalls. Perfectly shallow for children to splash about in. 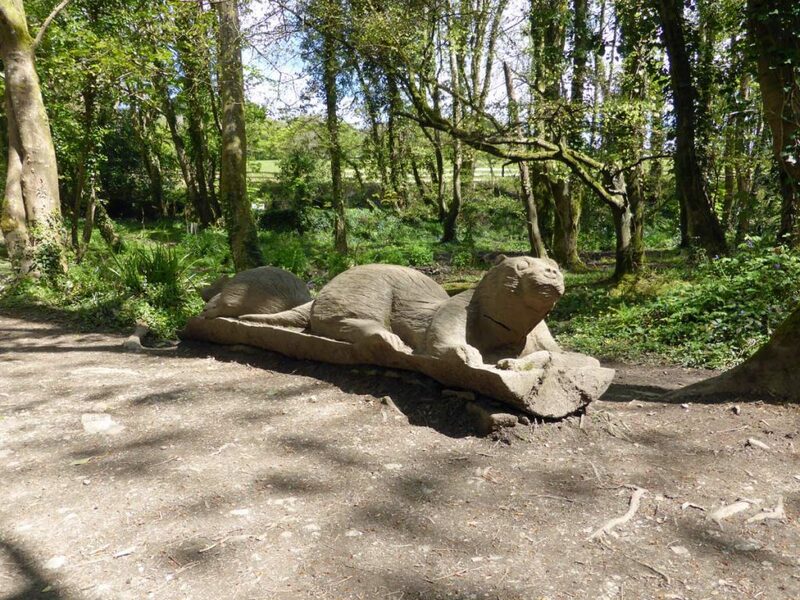 Just before the start of the Oak Wood was Otter Bridge, next to which was a rather cute carving of a pair of otters. Here we met a man whose spaniel was enjoying a cooling dip in the stream. He told us that if you visit in the early morning, you can often see deer at the top of the Oak Wood. 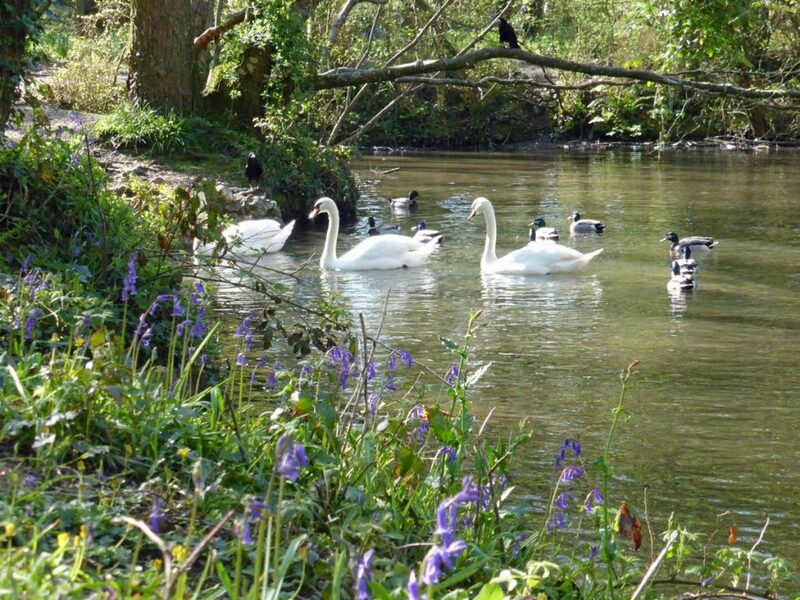 There are two circular walks through the wood both starting at Otter Bridge. You can choose between easy or moderate. We took the moderate route, which had a slightly steeper gradient than the others and is unlikely to be suitable for prams and wheelchairs. 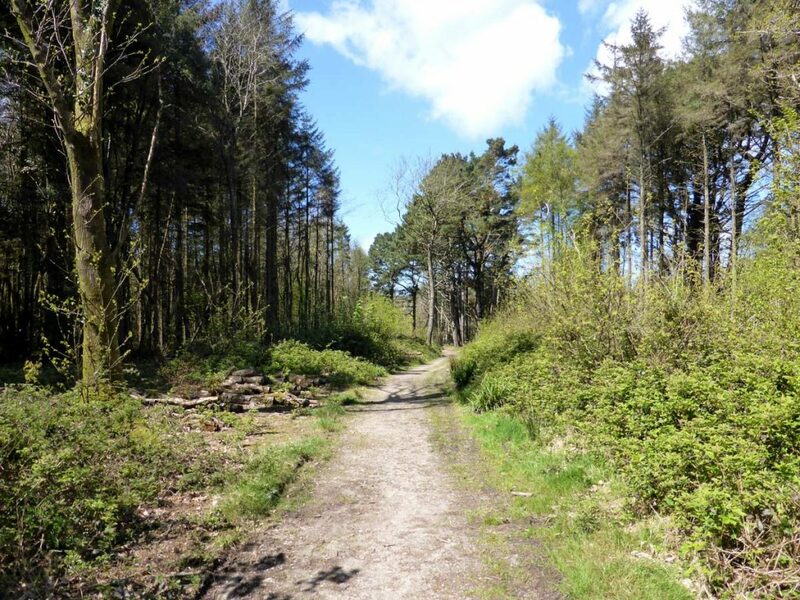 Surprisingly, the top section of the walk seemed to be largely coniferous woodland. This meant that there weren't many bluebells on this walk as the canopy cuts out the light. Before starting the North Cliffs Circular Walk we noticed a sign post directing to a rose garden. After walking full circle we set off as directed. After an initial false start, we came across a small garden. Even when the roses were not flowering, it is still a beautiful tranquil place to sit down and relax for a moment. After exiting the Rose Garden, we stopped to watch a couple feeding a robin from the palm of their hands. Before leaving, they kindly gave us some nuts so that we could try and tempt the birds ourselves. Although I did not manage to convince any birds to eat from the palm of my hand, a couple of squirrels did accept the tasty snack. Now that we had walked two trails and visited the Rose Garden, we headed for the cafe to refuel. We were to be disappointed, however, as we soon discovered that the cafe does not open on Mondays. So we enjoyed the few snacks that we bought along in the lakeside picnic area instead. 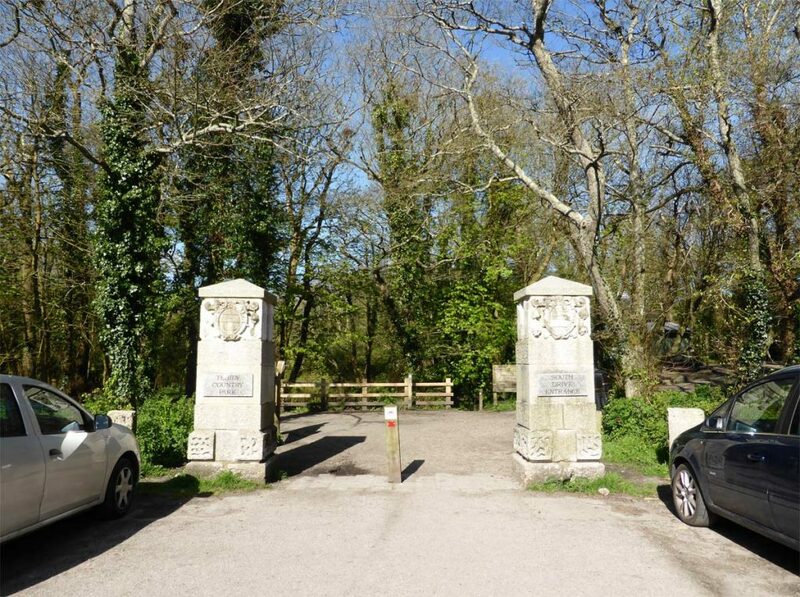 In my previous role at Duchy College’s Rural Business School, I used to drive past signs for Tehidy Country Park when I visited the nearby college, but I never went in. It was time to follow the signs and see what it was all about! By chance, the park was also featured on BBC’s Countryfile the evening before my planned visit. 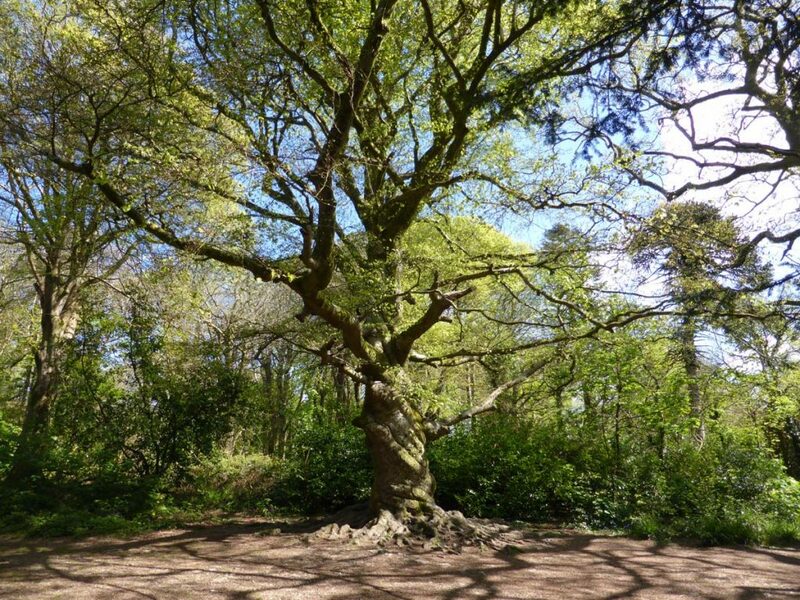 Families, walkers (including dog walkers), cyclists, horse riders, and wildlife enthusiasts will love Tehidy Country Park. There are plenty of interesting shaped bits of tree and rope swings for children to play on. There’s also a stream that children can safely splash about in and dens presumably left from bushcraft days. 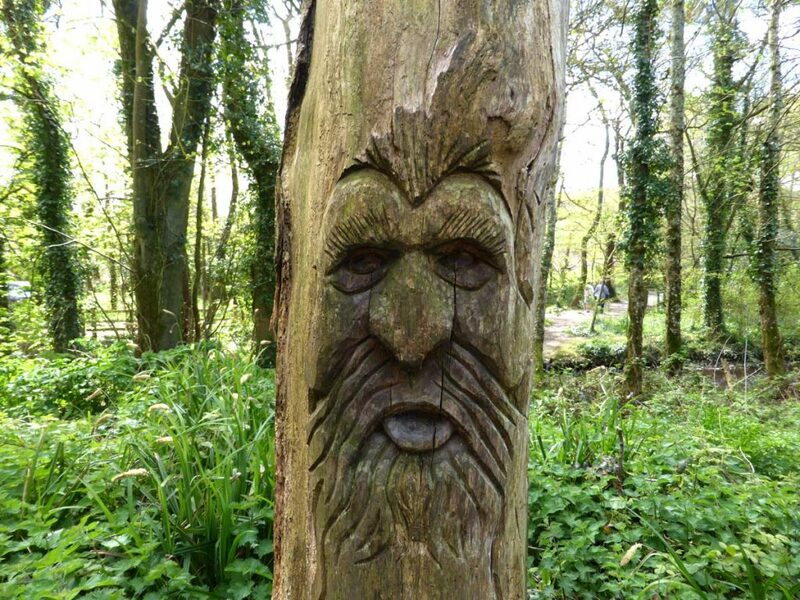 Throughout the park there are faces carved to into logs. See how many you can spot. There is a cafe, but it is closed on Mondays. Looking at the noticeboard, there are varied events held throughout the year. There are three free car parks: North Cliffs, East Drive and South Drive. The majority of trails appeared to be buggy and wheelchair friendly. Bottled tap water and a bowl are located in the rose garden, so that your pets can stay hydrated. There are a number of walks to enjoy so you can make your visit as long or short as you wish. Dogs are not permitted in the Beech Wood area of the park managed for its wildlife; this includes the Lakes Circular Walk. 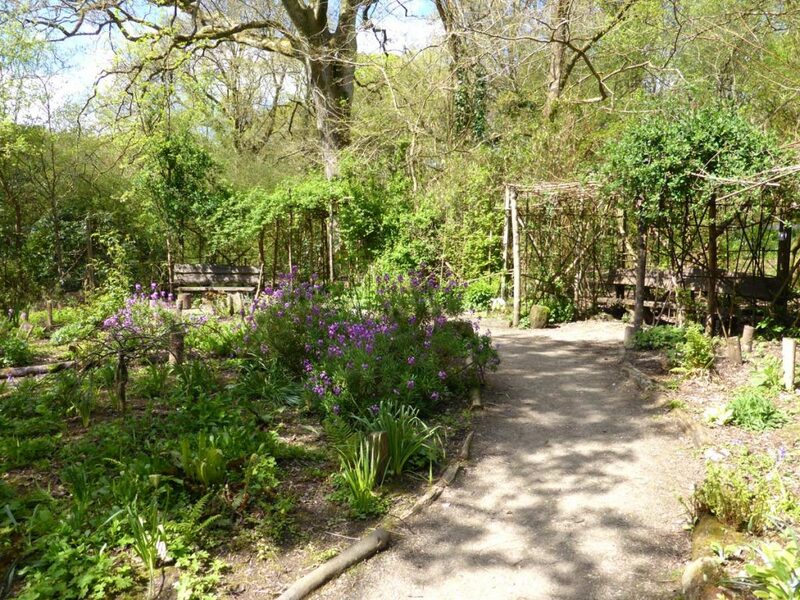 Visit in the spring and admire the bluebells. If you visit on a Monday, take a packed lunch. 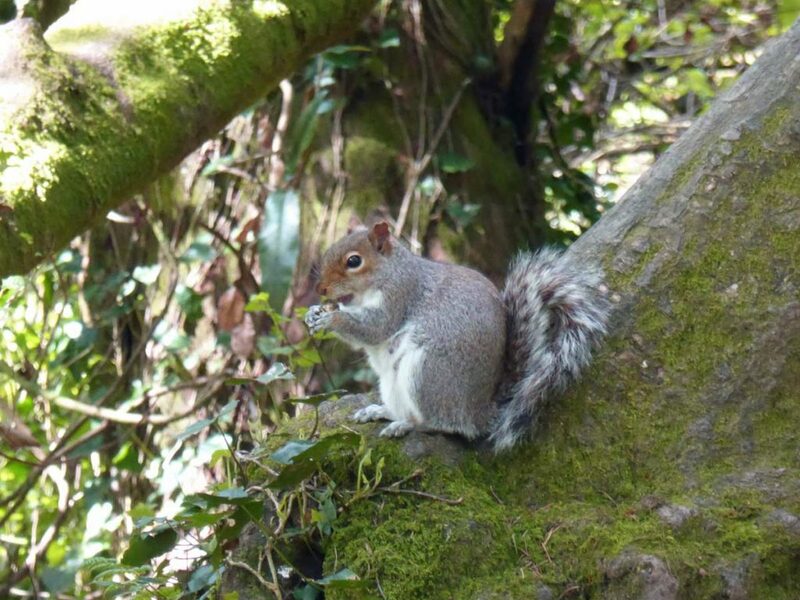 Take some nuts and seeds to feed the birds and squirrels. How many faces will you spot? I can’t wait to visit again. Although we managed to walk about 5 miles of trails, there’s still three more miles to explore. And I would also like to walk to Portreath via the Mineral Tramways. About the author: Sophie is digital marketing co-ordinator at Cornish Traditional Cottages and visited Tehidy in April 2018. For her next day trip she is going to Polly Joke to see the wild flowers.